"What year are you preparing your students for? 1973? 1995? Can you honestly say that your school's curriculum and the program you use are preparing your students for 2015 or 2020? Are you even preparing them for today?" * Content and assessment: How to identify what to keep, what to cut, and what to create, and where portfolios and other new kinds of assessment fit into the picture. * Program structures: How to improve our use of time and space and groupings of students and staff. * Technology: How it's transforming teaching, and how to take advantage of students' natural facility with technology. * Media literacy: The essential issues to address, and the best resources for helping students become informed users of multiple forms of media. * Globalization: What steps to take to help students gain a global perspective. * Sustainability: How to instill enduring values and beliefs that will lead to healthier local, national, and global communities. * Habits of mind: The thinking habits that students, teachers, and administrators need to develop and practice to succeed in school, work, and life. The answers to these questions and many more make Curriculum 21 the ideal guide for transforming our schools into what they must become: learning organizations that match the times in which we live. Christian Education Director, Youth Minister, and Minister of Christian Education are common job titles for educators in the church. Michael Lawson and Robert Choun, Jr., combine these important positions into the term 'Christian Education Specialist' and apply it in a comprehensive fashion whether for youth or adults. 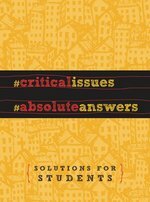 This book will help the Christian education specialist divide the various responsibilities of Christian education into workable tasks. The author's include eight sample job descriptions from churches of different sizes. This book will help the small church discover fresh ideas for recruiting volunteers and training teachers. If you are overwhelmed with responsibilities covering everything from nursery to budgets to retreats, this book is for you. Besides giving you a biblical foundation for your job in Christian education, these pages will give you specific help to get your church education program in tip-top shape. Whether you are looking for encouragement in handling relationships with church staff or are seeking ways to help volunteer leaders, this book will prove a valuable resource. Technological innovation has changed nearly everything about human life, including how we teach and learn. Education has the power to shape a culture, influencing the formation and transmission of cherished traditions, foundational narratives, and core values across generations. This guide seeks to reclaim a vision for a distinctly Christian approach to education aimed at fostering a renewal of Christianity in our day. Looking at a variety of key historical figures, including Jesus, Paul, Augustine of Hippo, Martin Luther, Horace Bushnell, and George A. Coe, along with various historical, philosophical, or social perspectives related to education, this book shows how exploring Christian thinking about education throughout history can equip educators today to reclaim their task. 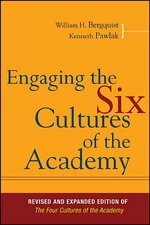 In The Four Cultures of the Academy, William H. Bergquist identified four different, yet interrelated, cultures found in North American higher education: collegial, managerial, developmental, and advocacy. In this new and expanded edition of that classic work, Bergquist and coauthor Kenneth Pawlak propose that there are additional external influences in our global culture that are pressing upon the academic institution, forcing it to alter the way it goes about its business. Two new cultures are now emerging in the academic institution as a result of these global, external forces: the virtual culture, prompted by the technological and social forces that have emerged over the past twenty years, and the tangible culture, which values its roots, community, and physical location and has only recently been evident as a separate culture partly in response to emergence of the virtual culture. These two cultures interact with the previous four, creating new dynamics. Theological schools are often led by teachers with minimal administrative experience or training. 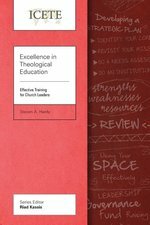 Excellence in Theological Education is designed to help leaders of theological schools, especially within the Majority World, to affirm the excellence of their own training institutions, and where excellence may be lacking, to discover ideas that will strengthen the quality of administration and education provision. Written for Christian teenagers who are relatively inexperienced or unknowledgeable about their faith and the Bible, this dynamic Bible study poses thought-provoking questions and directs readers to relevant Scriptures. 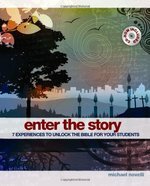 Exploring Christianity gives students a solid and secure foundation to grow in their knowledge of the Christian faith.